Malaysia dun have summer...but we still can dress like summer! !u like surf??me? ?i dun know how to surf *. 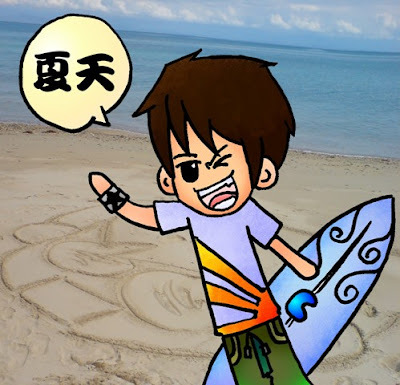 * but you and i can dress like surf!or you owes do not know wad to wear when you have gathering at the beach? oh my...this is wad u need! 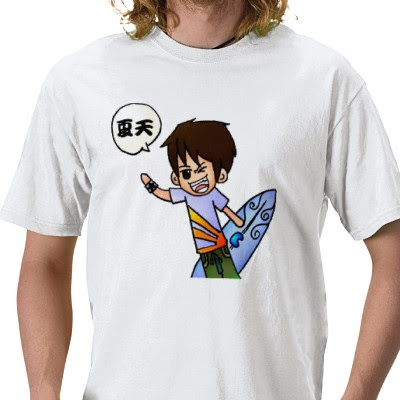 ahkian's first t shirt with cute drawing with surfboard! this is t shirt,does it look cooL?no?the how bout cute?